The perfect addition to any newlyweds home! This Mr. And Mrs. Accent Return Address Stamp will be perfect for year round use and will give a beautiful accent to all of your outgoing mail. Have a pile of thank you notes that you need to get out in the mail? Our handy romantic stamp will help you finish in no time. Standard size is .875" x 2.375" but larger sizes are now available! Constructed with the best supplies we can find! 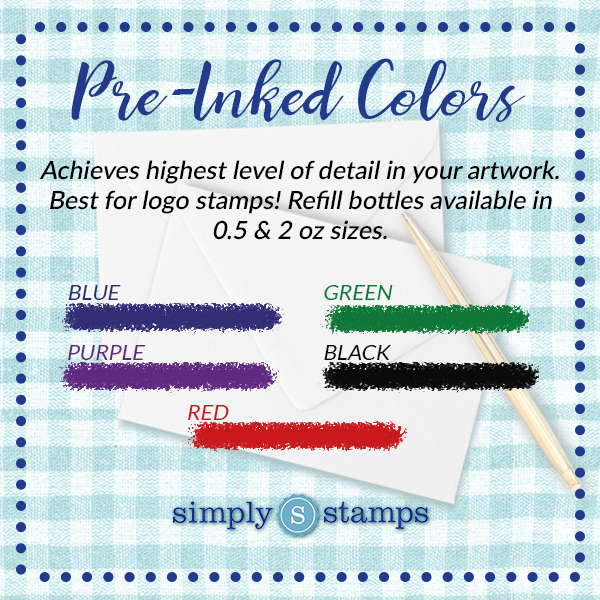 Our rubber stamp comes in a range of colors, sizes, and styles - that way you are free to make as memorable of an impression as you wish and proudly show your design in any color we have available. Get started with this custom Mr. And Mrs. Accent Return Address Stamp now! Mr. And Mrs. Accent Return Address Stamp Details Why bother messing with outdated address label stickers that get torn in the process of applying them, are costly, and are limited to only a certain number of uses per roll? Showcase your creativity, originality, and innovation by opting to use an address stamp instead! This stamp will last for thousands of impressions whereas address label stickers will only last until the sheet or the roll runs out. Still clear and legible, this stamp allows you to show off your own individual style while still being frugal!